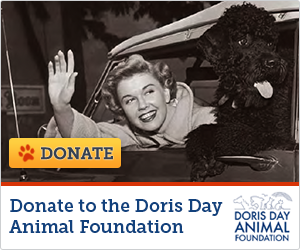 Doris plays a young woman who stirs things up in a western town by raising sheep instead of cattle and taking on the men of the town ranchers Peter Graves and George Kennedy. In true Doris style she shows the men that she can fend for herself and her son winning the love of Peter Graves along the way. It was a minor hit for Doris. The movie was inspired by the real life story of Josie Bassett. Mooney: You hardly think she could shoot that thing. Jason Meredith: Ah, that woman gets crazy every so often. Mooney: Yeah, they're prisoners of their juices. Josie Minick: Speed won't matter. I'm counting on surprise. Simpson, General Store Owner: Oh, they'll be expecting it. You put a woman in pants, the rest is bound to follow. Variety magazine noted that during the half hour in which this film was being broadcast at the same time as 'The Doris Day Show' on CBS, more than 2/3 of the television sets in the USA were watching Doris Day on television, something that had never happened before or since with any star. "Film debut of David Hartman." "Final film of Robert Lowery." "The film's theme song was sung by Ron Dante (Billed as Ronnie Dante), who would later become the lead singer of the studio group The Archies, conceived by the animated TV series The Archie Show (1968). The group had several Top-40 hits in the late 1960s, including their biggest hit: 'Sugar, Sugar'." "The sheepherders reference an actual sheep/cattle feud called the Pleasant Valley War between the cattle-raising Graham family and the sheep-raising Tewksbury family. The feud lasted for nearly ten years and was immortalized by Zane Grey in his book /To The Last Man: A Story of the Pleasant Valley War'." "Josie gets caught on a roll of flypaper, the type of which was not invented until 50 years after the movie was set."